Fortunately for women, communicating with others is usually a strength that can be applied to the business arena. And what better way to learn about how to effectively network and connect with others than from a savvy woman entrepreneur, who know how to leverage her skills. Today, I invited Leslie Josel, Founder of Order Out of Chaos, to share her experiences on the subject. Thank you, Leslie! When I first started my own business, I prepared myself for what I expected to be a somewhat lonely endeavor. As every survey ever done on women entrepreneurs has demonstrated, isolation is the most serious issue women entrepreneurs face in their business. Interestingly, women tend to be natural networkers particularly when it comes to home and family. So for women, consciously spending time building business relationships should be natural and easy. When I began my networking endeavors, little did I know that I had unwittingly joined a huge sorority–although this one also has a few male members! Unfortunately, unlike in college, this sorority doesn’t mysteriously find you and ask you to pledge. You need to do some work to find them. How? A great way to develop a network is through your professional organizations, both national and regional. While in some ways I was amazed that others in my industry would help someone they might be competing with for clients, I soon discovered that the “there is always room for one more” mentality was the norm. My fellow professional organizers valued maintaining the high standards that our national organization promoted, and therefore the sharing of information, exchange of referrals and consistent mentoring was a vital way to promote our organization and, by extension, ourselves. I also discovered that attending meetings, workshops and conferences geared to women entrepreneurship was a wonderful opportunity to “network lite.” If the activity was not focused directly on networking, but on a learning opportunity, then the conversations and connections would naturally lend themselves to building relationships. The “we are in this together” mentality is a perfect opportunity for women to naturally bond over the similar struggles and successes unique to women in business. We all know that word-of-mouth marketing is one of the very best, most powerful ways to get our business or product known. Women do this so naturally and so effortlessly that it took me a while to realize that it was one of the most important tools I had. Whether you’re at school pick up or at a social gathering, on the ball field or on the train, tell EVERYONE what you are doing. A women’s rolodex is the most important place you want your contact information to be! As women in business today we are very lucky. The amount of groups, meet-ups and associations geared to women entrepreneurship or women in business is overwhelming. Join them; surround yourself with like-minded individuals who are doing what you are doing. That connection, that education, that networking is invaluable. Simply put, women want to help women. So seek it out, use it and pay it back. It is essential for your business success. What are you doing to connect and network in your business niche? 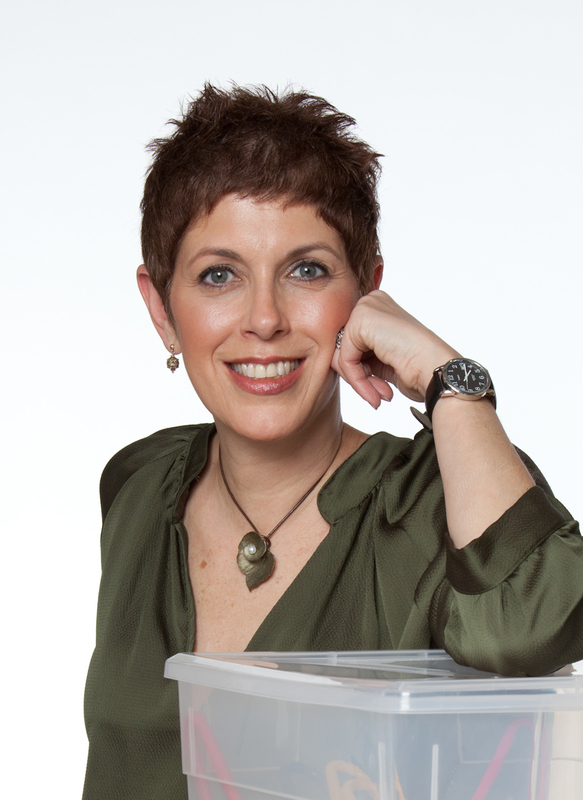 Leslie Josel, is the Principal of Order Out of Chaos, an organizing consulting and relocation specialist firm. She is a member of the National Association of Professional Organizers and holds her Chronic Disorganization and Hoarding Specialist certificates from the Institute for Challenging Disorganization. Leslie is known as a respected resource on ADHD and hoarding issues and has been featured in local and national media on these subjects. She speaks regularly on organization, special needs and women entrepreneurship. Order Out of Chaos recently launched their first product, An Academic Planner: A Tool for Time Management geared towards middle and high schoolers. Connect with Leslie on Twitter, Facebook and LinkedIn. This entry was written by Dr. Shannon Reece, posted on January 17, 2012 at 6:00 am, filed under Guest Posts and tagged connecting businesswomen, leslie josel, order out of chaos, small business tips, strategies for women, women networking. Bookmark the permalink. Follow any comments here with the RSS feed for this post. Post a comment or leave a trackback: Trackback URL. I’ve certainly picked up something new from right here. So nice to seek out any individual with some original thoughts on this subject. realy thanks for starting this up.There are certainly lots of details like that to take into consideration.